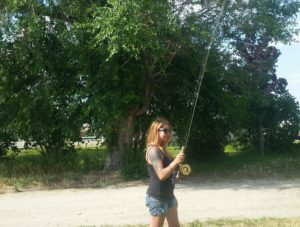 Fly Fishing lessons, fly casting lessons. Western and Tenkara instruction available. 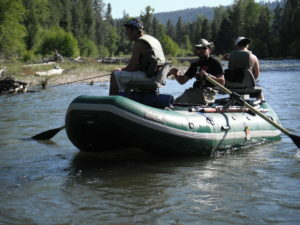 Fly fishing instruction can be separate or in conjunction with any fly fishing trip we offer. Fly Fishing lessons can be taken on any of the Rivers we operate on. If you want to learn how to fly fish or are looking to better equip yourself with the skills needed to succeed in a sport that will offer a lifetime of adventure and learning. This is the place for you. Fly casting and fly fishing lessons are taught by licensed professional fly fishing guides. 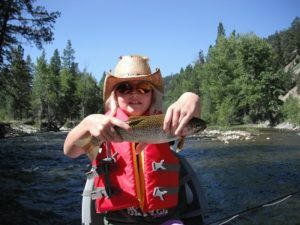 We offer a hands-on Fishing Guide School based out of Hamilton Montana that is operated on the Bitterroot, Blackfoot and Clark Fork Rivers. The MHFA Fishing Guide School is approved by the Montana Board of Outfitters and will get you a head start on a satisfying career. In conjunction with the Bitterroot Fly Company in Darby, MT we provide a free fly fishing 101 class every spring. Contact Bitterroot Fly Company for the date and to sign up as spaces are limited.